Amid heightening tensions in the world, the growth of the global economic crisis, and the imposition of unjust sanctions by the West, it is as never before important for Russia to strengthen international political and business ties with its partners. One of such countrie, actively seeking a mutually-benefitting partnership with Russia is the Arab Republic of Egypt, with which we have a long history of cooperation in all areas of relations. The visit of Russian President Vladimir Putin, scheduled for a near future, which will be a response to the visit of the president of EgyptAbdel Fattah as-Sisi to Russia in August 2014, will undoubtedly serve as a new impetus for their development and strengthening. It should be said that recently both Egypt and Russia have undergone serious social and political changes, but the atmosphere of mutual trust and respect has always played a key role in the relationship between Moscow and Cairo. Currently, both countries are partners in bilateral affairs as well as on the international arena. This is not surprising, if one recalls the glorious chapters of mutually benefitting partnership. These include the Aswan hydroelectric power station, Helwan Iron and Steel Works, an aluminium plant in Nag-Hammadi, an Egyptian Russian University in Cairo, and many others. Recently, Russia and Egypt have been actively restoring their relations which inadvertently suffered as a result of the revolution and the following regime change in this Arab country, stated Russian president Vladimir Putin. “We are restoring our relations to the fullest extent. And the development of the economy goes along with the intensification of political contacts. It is growing, in spite of the problems in the global economy,” noted Russian president. The leadership of Egypt adheres to the same opinion, as the Egyptian ambassador to Russia Mohammed El-Badri recently stated, saying that the current Egyptian-Russian relations are on the rise. “This is a very important step for us, as speaking metaphorically, the most difficult flight stage for an aircraft is the take-off. Today our relations develop very harmoniously, and they are promising,” said the ambassador. It is quite clear that the reasons for this positive development can be found in the fact that, firstly, we have a strong basis on which we will build our future relations. We are not alien to each other. The second reason is the emergence of close and friendly relations between the presidents of our countries. These friendly relations are very important for the development of cooperation between Russia and Egypt. And additionally, the non-interference in each other’s internal affairs is very important, as well as respect and honesty in the relations. Perhaps we need to build on the groundwork ,which was laid during the years of Soviet-Egyptian cooperation, on those large investment projects that were created with the participation of Soviet foreign trade associations and Soviet enterprises. Of course, the Aswan Dam has always been a symbol of our cooperation and friendship. It is understandable that the time marches on and certainly it will require modernization and the creation of some new capacities. Not only this, however. There are also promising facilities in ferrous and nonferrous metallurgy, created in that period. They are also likely to require improvements and the introduction of new technologies. And of course, the supplier who was the first, by definition has the advantages, because he was the one who built it. First and foremost, it is energy sector. And not only because Russia has very good and proven technology in this area, but also because our country has recently undergone huge reforms in this field. And the leadership of Egypt has announced that there will be similar reforms carried out, therefore cooperation in technical, political, and business spheres for these two countries is simply essential. The trade sector should also be highlighted. Of course, cooperation here is already under way, but it must continue to evolve. The goal, which both countries have set for themselves, on the initiative of both presidents, is to increase trade from current $3 to $4 billion dollars in volume to $10 billion dollars yearly. It may be recalled that in 2014 the trade between two countries amounted to $3 billion dollars. But according to the Federal Customs Service of Russia, this number is even higher: $4.6 billion dollars from January to December. Although this may be achieved quite quickly, it does require specific efforts, serious work with coordination between the governments. Egypt recently has actively shown an affinity for Russia and a mindset for cooperation in different spheres. Russia and Egypt may come to mutual payments in Roubles. This was said to the “Ash-Shuruk” periodical by the Egyptian Minister of Tourism Hisham Zazou. According to him, amid the weakening of Russian national currency, and in order to maintain tourist flow from Russia, in February of this year the countries may start using the Rouble as the currency in the tourism sector and for commerce in general. Hisham Zazou explained that at present they are working on mechanisms for mutual payments, which would make it possible to break the US dollar lock-in as the main currency. The payments are planned to be conducted through the central banks of Russia and Egypt. First of all, the minister noted, it is possible to make payments in Roubles for travel packages and fees to tour companies. In the future, according to this scheme, these funds may be used by Cairo to pay for goods imported from Russia. The Egyptian side is currently taking all possible measures to prevent the decrease in the number of tourists from Russia amid the economic crisis. About 3 million Russians vacationed in the land of the pyramids in 2014. However, this generally rosy picture was spoiled by December, when, the flow of tourists fell sharply almost by half following the collapse of the Rouble. As one of the measures to promote Russian tourism to Egypt, the visa fee for Russians has been cancelled for four months, from January 15 to April 30. Reportedly, tourists who purchase tour packages to the Red Sea resorts will not have to pay $25 per person. However, the main issue on the bilateral agenda for Moscow and Cairo is the military-technical cooperation. The change of the regime in Egypt gave rise to the rapid development of the country. Last year it was reported that Moscow and Cairo signed arms contracts worth $3.5 billion, including deliveries of helicopters, aircraft, and air defence systems. Cairo has expressed interest in new contracts. In November, mass media reported with a reference to Egyptian military sources about the signing of an agreement to supply Egypt with Russian anti-aircraft missile systems S-300VM, but later the Federal Service for Military-Technical Cooperation stated that it “does not confirm” that. And according to Mohammed al-Badri, military cooperation between Moscow and Cairo is not limited to the weapons trade, but “includes training of personnel and exchange of information.” And the supply of arms takes place regularly, without delay and without imposing any conditions of political nature. This kind of military cooperation differs greatly from that which the United States tries to impose on Egypt. It is to be reminded that Washington decided to freeze military-technical cooperation with Egypt. 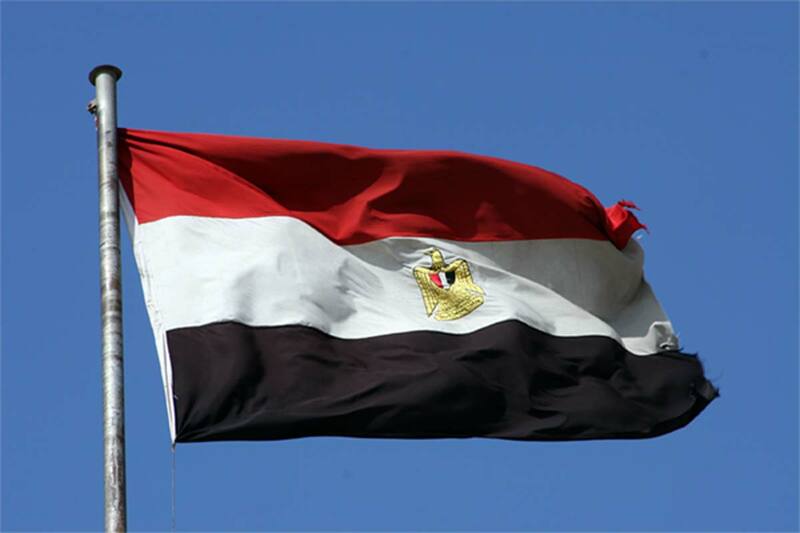 The refusal of the US to supply the Egyptian military with weapons may be viewed, for example, from the point that they do not believe much that the “Muslim brothers” have finally left the Egyptian political arena. Analysts of the State Department and special services predict the intensification of armed clashes in Egypt in the medium-term perspective, and therefore, Washington wants to bet on them, in order to force the current president to be more complaisant with the United States in the future. On the other hand, Washington, it seems, has finally given up the idea of preserving Egypt in his former role as one of its main strategic allies in the region. That is, Washington is no longer betting on Egypt as a main deterrent, and thus preserving military assistance at the same level makes no sense. On the eve of Putin’s visit to Egypt, it can be said with confidence that Russia and Egypt have undergone serious social and political changes, but the atmosphere of mutual trust and respect has always played a crucial role in relations between Moscow and Cairo. Russia and Egypt, as it has been demonstrated, today are mutually benefitting partners, not only in bilateral affairs, but they also have identical or very similar views on many international issues. And, no doubt, the upcoming visit of the Russian president to the friendly Egypt will only confirm this view.